The Management Team is dedicated to providing a spiritually uplifting atmosphere for clients and our team, by offering a caring approach to management and sales. Our management team provides services to AHNS such as accurate and safe record keeping, tracking of sales and marketing. Creating new and innovative services, menus and online services (website-development). Performing regular team member reviews. Our Team is dedicated in creating and maintaining internal structures, policies, and procedures for all areas of salon/spa, management. Human Resources Department. Owner Paula Sadler & Hrit Inc ( Human resources & information Technology). We believe in personal/professional development. We hold a monthly 1-hour mediation with the staff to provide team development and the working out of situations and concerns between staff members in a caring, loving and professional way. We learn to relate to each other with the help of a professional who can guide us and assist us in the development of healthy models of communication with our clients, fellow team members and family and friends. These sessions are geared toward building healthy professional bonds, increasing team morale and to the development of the inner self. Staff is encouraged to keep an open mind and heart during these meetings as to absorb the most benefits. For immediate assistance in the event of a personal or professional crisis please call The Spa Manager if this is a life-threatening emergency please call 911. Bookkeeping & Tax Return Preparation. 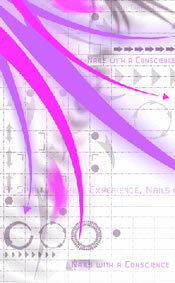 A Harmony Nail Spa uses the professional services of Nevada Financial Concepts, Inc. Bookkeeping services since 2009. For our team members and clients we recommend this team of professionals for all your bookkeeping needs. For more information or to schedule a complimentary consultation, please contact us either via E-mail at Mike@NVFinancial.com or stop by our office. You may also call us at (702) 920-7004 Monday - Friday From 8:00am - 5:00pm (PST). Personality Profile through BSM consulting. This service evaluates and scores the personality type using a questionnaire and Myers-Briggs Type Indicator (MBTI) 16 personality types profiling. We use this online service to evaluate new team members and the existing staff and help us relate to one another according to individual needs. This information is not used to determine acceptance of employment, but all team members are required to take this questionnaire, along with an in depth orientation with the company, all information is stored in the personal file and used to help our team members develop both personally and professionally. We also recommend clients to take this questionnaire on your own, and team members may refer to this site as often as needed to review there own profile in there leisure. Enjoy and we hope you find results that are helpful to your development. Alarmco provides 24 hour monitoring of our salon, and our spa is equipped with up to date security features and policies in the event of a burglary. Our system notifies authorities immediately and police are able to arrive within minutes for our safety. Please mention AHNS as a referral when calling any of these professional services. Thank you.